No matter where Abby and I go we always, at some point, find ourselves wandering through different neighborhoods dreaming of what it would be like to live there. Finding homes we love and streets we adore is something we've always had in common. Whether it be the Marais in Paris or Regent's Park in London or South of Broad in Charleston, there's no shortage of dream homes we've penciled onto our bucket lists. 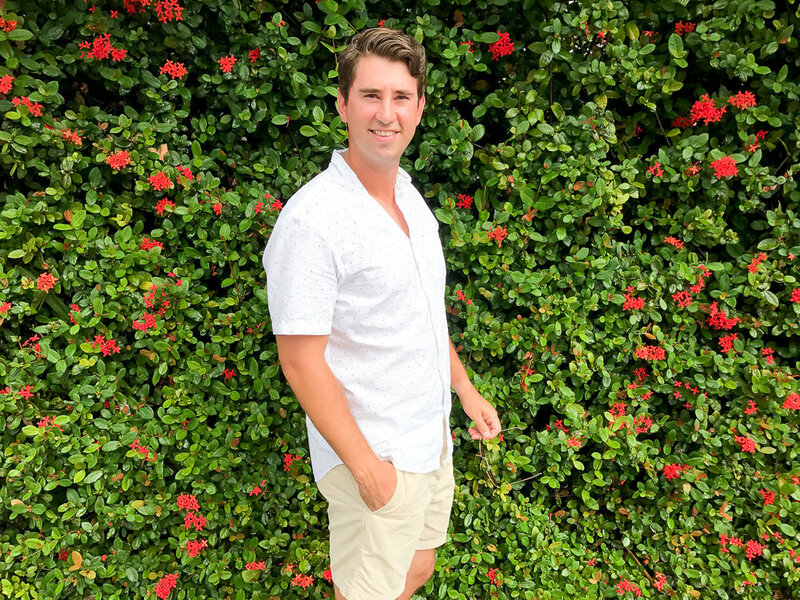 So while we were recently in Palm Beach this habit stayed with us and we had a blast strolling along Ocean Drive and ducking into every side street we saw taking in everything the local had to offer. I didn't know what to expect when we visited Palm Beach! It actually was much different than I anticipated. I expected the town to be kind of like the Hamptons in New York- a utopia village on the ocean- but Palm Beach is it's flashier cousin- same price point but less subtle! Austin and I grew up going to Florida beaches on the gulf side with the emerald water and big, fluffy, white sandy beaches, which is different from the beaches on the Atlantic. Palm Beach had a very narrow beach and nothing was built on it, making most of the beaches open to the public. Most buildings (hotels, resorts, houses, etc.) are set back across the street from the ocean. Some houses on Ocean Avenue had their personal pool across the street closer to the ocean than the house, with a road with cars and pedestrians passing in between! The homes were very beautiful, colorful, and unique and sitting on much smaller lots than the Hamptons. Living near a golf course seemed like more of an attraction than by the beach. 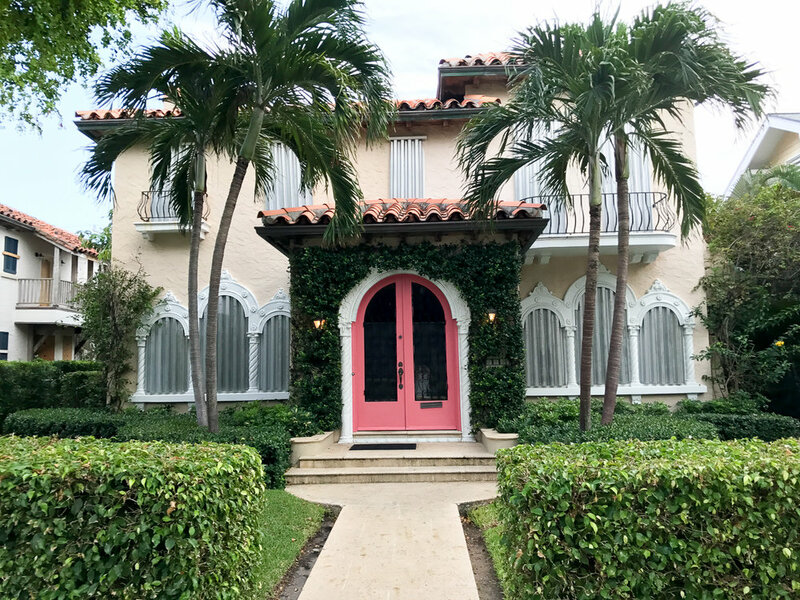 Palm Beach definitely embraces its Florida personality differing from it's New England counterpart. My personal architectural aesthetic prefers the Hamptons, but who isn't sucked in by the palm trees and tropical climate? I can see why snow birds prefer Florida! Where have you vacationed in Florida? Have you been to Palm Beach? Where should we travel to next? Let us know in the comments!